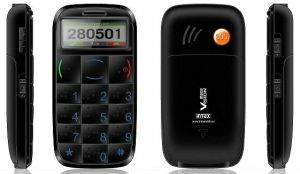 Intex Technologies, the IT hardware company that owns Intex Mobiles, recently launched Intex Vision, a mobile phone for the blind in India. 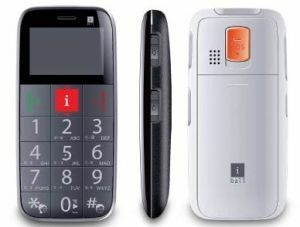 The phone was launched by the National Association for the Blind (NAB) amongst its students and faculty. According to NAB, one of the largest non-government voluntary organisations in India, there are more than 12 million visually impaired people in India and Intex believes this phone will help empower them, according to IndiaBlooms.com. The phone has a Braille keypad with large buttons to help the blind in pressing them with ease plus it has a talking keypad which speaks out the number being pressed in English. There is also a SOS feature in the mobile (similar to Speed Dial), where four emergency numbers can be stored and pressing the SOS button automatically calls the first number in the list. This is not the first such initiative by an IT company as earlier iBall came up with a mobile phone for the aged called iBall Aasaan. The two phones may look alike but their features are different. Intex Vision is a dual GSM SIM phone and has a memory which can be expanded to 2 GB. Apart from being a hassle free device, it also includes lots of handy features like an mp3 player, mobile tracker and auto call record. It also has a FM radio, but for the safety of the users, the FM antenna has been housed in the panel below the phone to avoid accidental contact with the eyes. The device can store 1000 contacts and 200 messages and is priced at Rs 2600 in the market. Intex is aiming to sell more than 5,000 units in the first three months of the launch, which it expects will grow once the handset becomes more popular. "Intex believes that simple and affordable technology can do wonders in enhancing quality of life of differently-abled people. India has the largest number of blind people in the world and NAB is the best platform in the country to reach to them. INTEX Vision is just a small gesture to help empower the visually impaired population by bringing connectivity within easy reach," said Shailendra Jha, DGM-Telecom, Intex Technologies. The handset has some issues. First, the inclusion of a torchlight in the phone is surprising, to say the least. Second, if the device is for the blind in India, then the company should have ensured that the talking keypad delivered in Indic languages such as Hindi, rather than English.